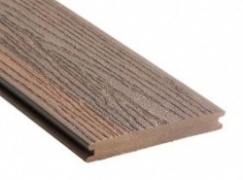 Composite decking offers a highly durable and low maintenance alternative to traditional decking. Available in a range of colours there's one to compliment almost every garden design theme. Our Gronodec range offers two products, Premier and Premier Plus. Premier is a traditional composite decking product offering a single material deck with a hollow core and is available in a range of five colours. Premier Plus is a range of two best selling colours manufactured as a co-extruded board with a dense core with a hardened outer layer. This is similar to our Eva-Last Infinity range but with the added benefit of holes running through the core to reduce weight. Our Eva-Last Infinity range is similar to the Gronodec Premier Plus but without the holes in the core. 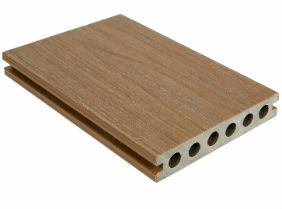 It is also co-extruded for extra durability and available in a range of 4 colours.